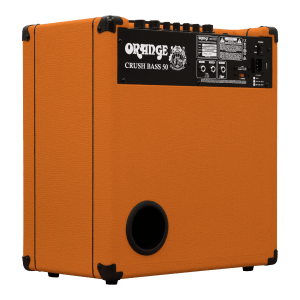 [The blend control] allows you to replicate the sounds created by some of the pioneering rock bassists of the ’60s and ’70s who used to split their bass output and send separate signals to bass and guitar amps simultaneously, allowing them to blend the overdriven sound of the guitar amps with the main (clean) bass sound. 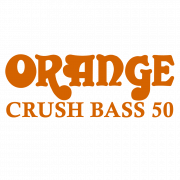 The ‘Blend’ and ‘Gain’ controls on the Crush Bass 50 allow you to do this from the front panel – easy to use (it can be switched in via a remote footswitch) and very effective. 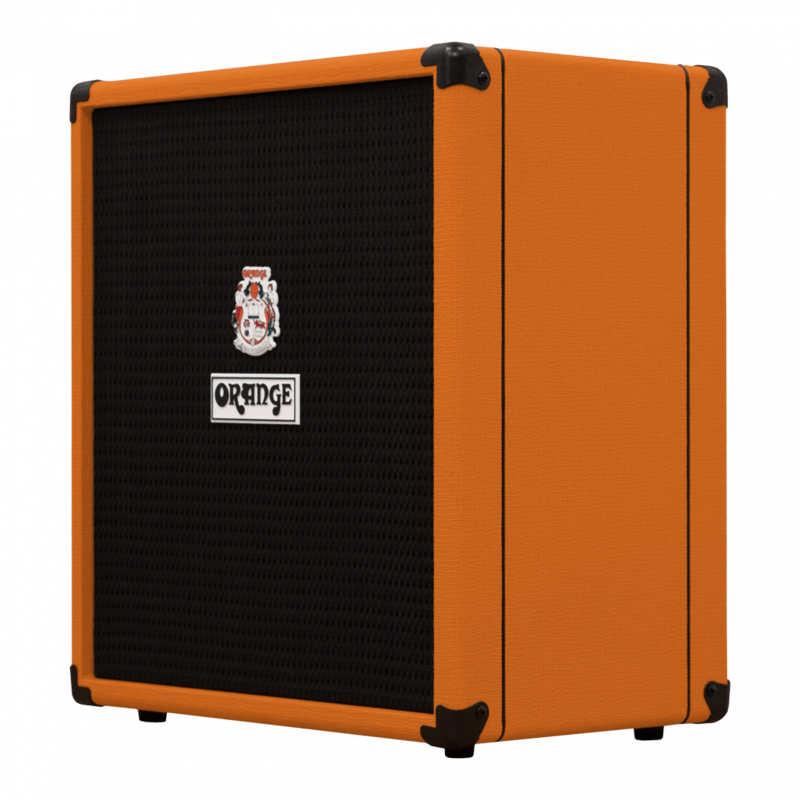 The larger cabinet and 12″ speaker gives you an impressive amount of extended low end and higher volume. 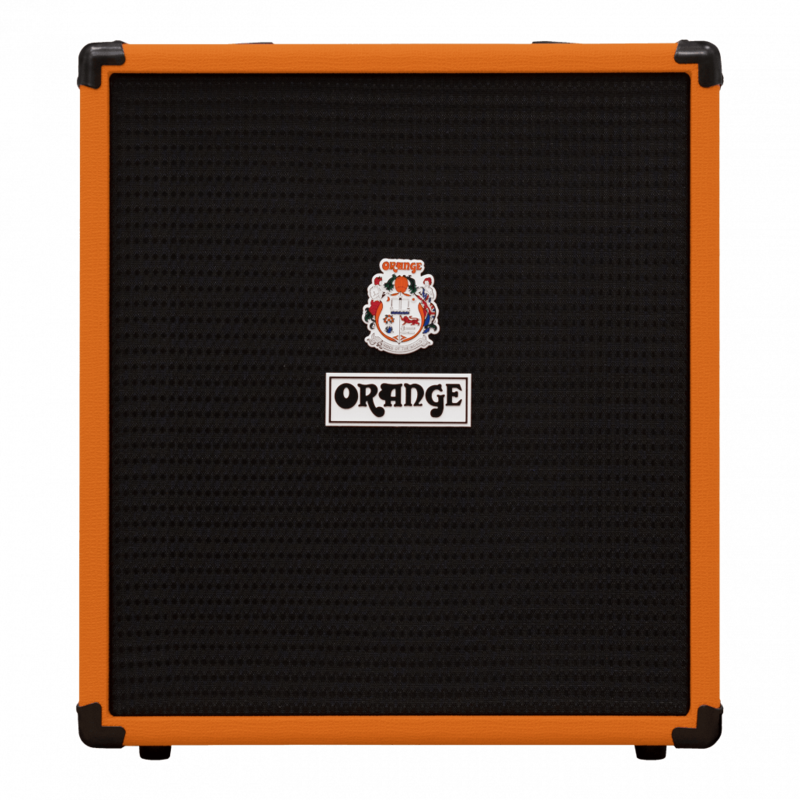 It would be quite feasible to use this amp on small gigs or perhaps as a backline monitor if it were mic’d up and put through the PA. There’s no dedicated DI, but an output can be taken either from effects send or headphone jack, which features ‘CABSIM’ output circuitry, emulating the sound of an OBC bass speaker rig. 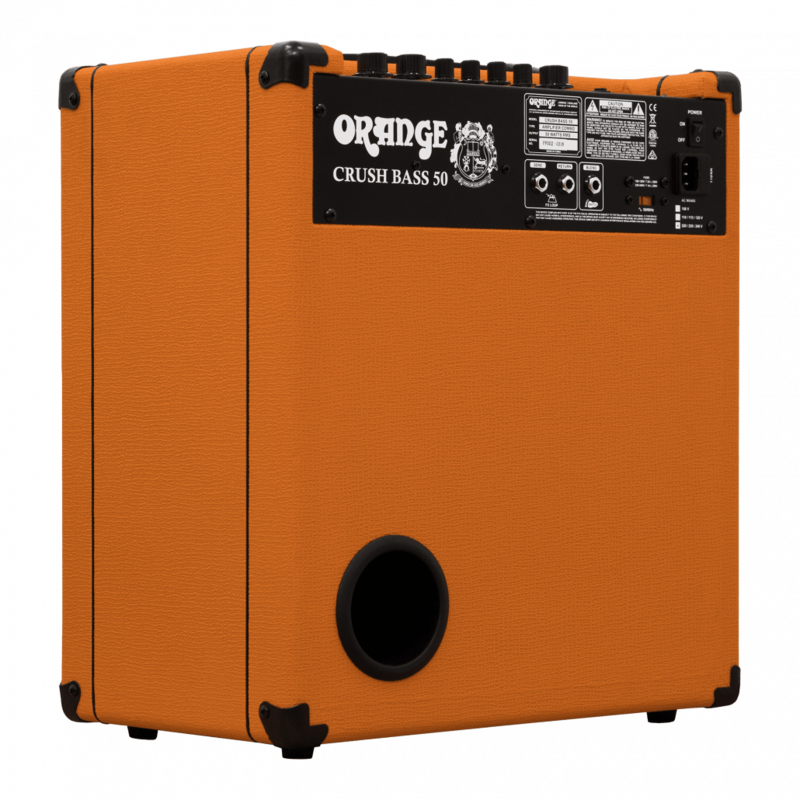 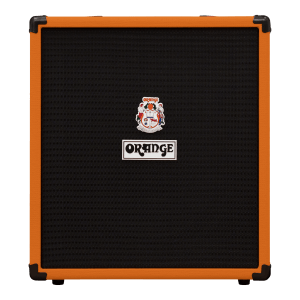 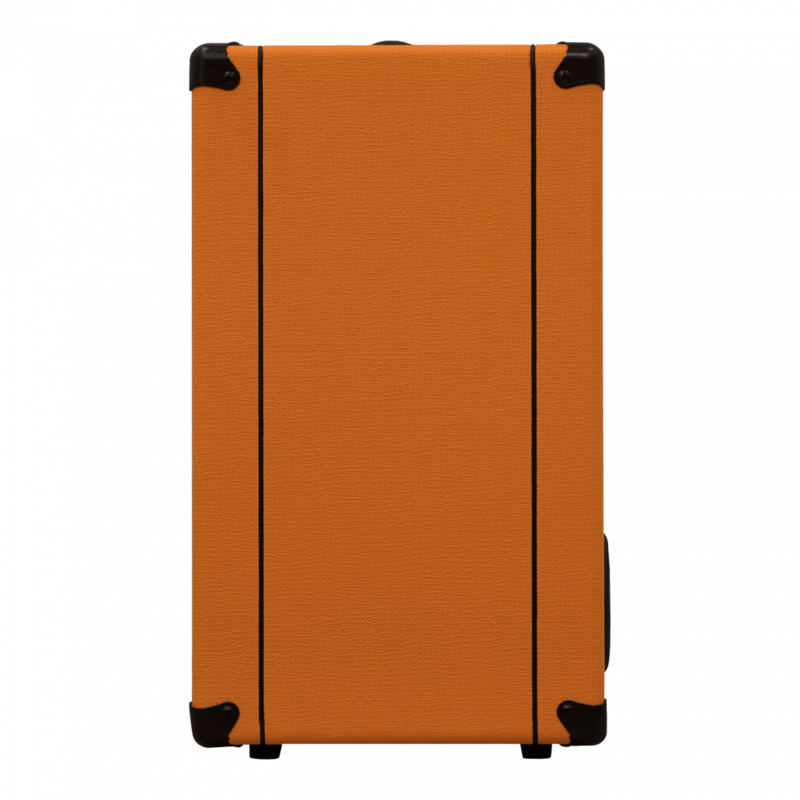 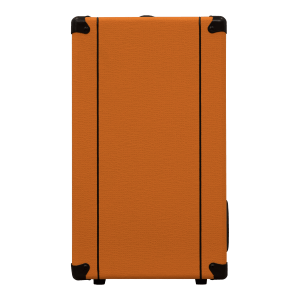 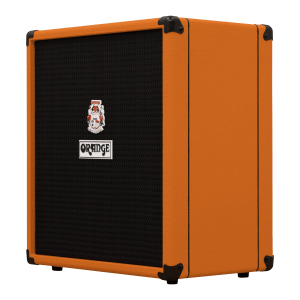 (On the Crush Bass 100) With its affordable price, portable all-in-one design, and impressive variety of tones, the Orange Crush Bass 100 is a highly recommended choice for bass players seeking a combo amp for small venues and the studio.